Deciding whether or not to take on the job of remodeling your kitchen can seem more overwhelming than it’s worth. But it doesn’t have to be. There is another option out there that requires less hassle, time and money—cabinet refacing. Desirable Kitchens & Refacing, has been transforming kitchens in the Pittsburgh and surrounding areas with this less expensive and less time-consuming option. But is it right for you? Each homeowner’s needs and situation are different, so it is important for you to decide if cabinet refacing is worth the cost for your kitchen transformation. The key determining factor will be the condition of your current cabinets. 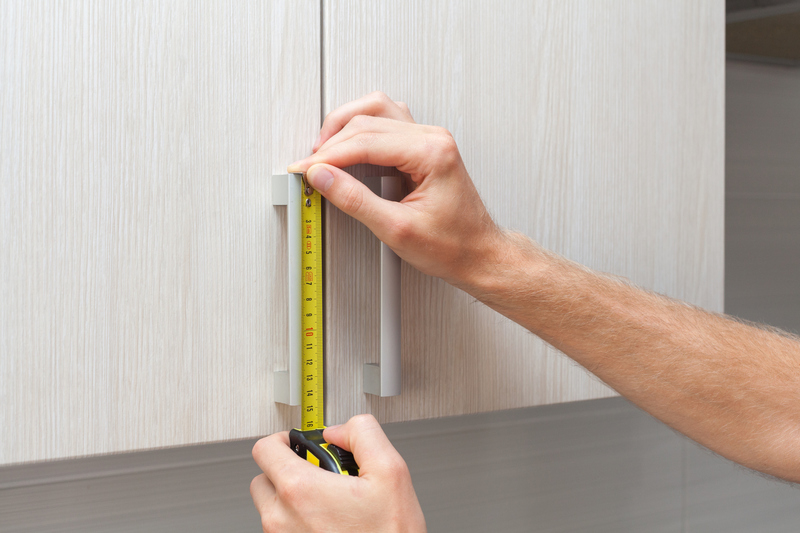 If your cabinets are structurally sound and functional, then refacing your existing cabinets will save you time and money. If your cabinets are not sturdy and deteriorating from decades of use, then you should consider completely replacing them with a full kitchen remodel. Cabinet Color – Change the color of your cabinets, which will completely alter the appearance of your kitchen. Veneers come in a variety of colors and wood stains, providing endless options when it comes to color. New Hardware – Consider the many design possibilities available for handles, drawer pulls and moldings. Typically, cabinet refacing costs about half as much as installing new cabinets. Depending on the type of refacing desired (and the size of your kitchen), you can expect to pay anywhere from $1000 to $9,000+. With cabinet refacing, you can transform your current kitchen into the kitchen of your dreams in less than five days! Cabinet replacement and full kitchen remodels can take weeks or months, which translates into higher labor costs. Therefore, cabinet refacing not only saves you time but money, too. Cabinet refacing is a quick and simple process when hiring experienced professionals, such as Desirable Kitchens and Refacing. Cabinet refacing does not involve tearing out your current cabinets, which causes weeks or months of mess and disruption in your kitchen. With kitchen cabinet refacing, there is no need to disrupt your normal daily routine. Your cabinet boxes are still intact and your sink and appliances are still available for use. Kitchen cabinet refacing is considered a green remodeling project since you are not adding cabinets to the landfill or cutting down trees to make new cabinets. Additionally, old doors and drawers can be reused and recycled. Kitchen cabinet refacing is an excellent and worthwhile choice for homeowners wanting the look of a full kitchen remodel without the expense, time and hassle. Does kitchen cabinet refacing make sense for your Pittsburgh home? Call Desirable Kitchens & Refacing at 412-515-0582 for a free consultation or more information. Our knowledgeable team will evaluate the condition of your existing cabinets and present the best options available for your kitchen transformation. We pride ourselves on having the right solution for every customer – every time!